NASA's Mars Curiosity Rover left Earth on November 26, 2011, and landed in Gale Crater on the Red Planet at 1:31 am EDT on August 6, 2012. Since that time, the rover has been roaming around, collecting samples of air, dirt, and rock, and taking amazing photos and videos of our nearest planetary neighbor. The cameras the rover uses to take its amazing images of Mars run the gamut from its Mast Camera, which takes HD video and can analyze light patterns, the Mars Hand Lens Imager, which allows for extreme close-ups of the planet's geological formations, and a variety of navigational cameras that allow Curiosity to see where it's going, among other high-tech gear. 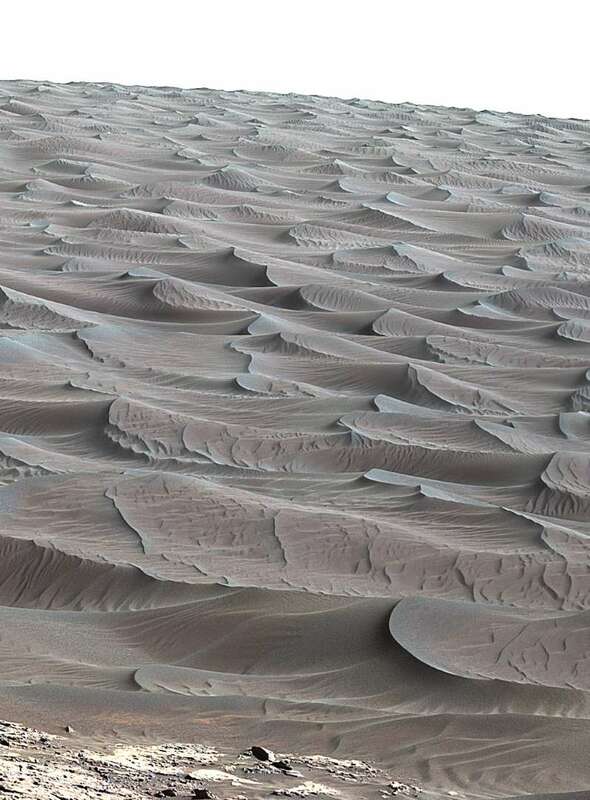 This photo shows the beauty of the planet's sand dunes. These are located near Mount Sharp, and were photographed using Curiosity's Mast Cam. This photo shows a wider view of the Mount Sharp area, with an appearance that's reminiscent of the Badlands of the Dakotas. This region of Mars has a high concentration of clay minerals, with the planet's signature red rocks on full display. 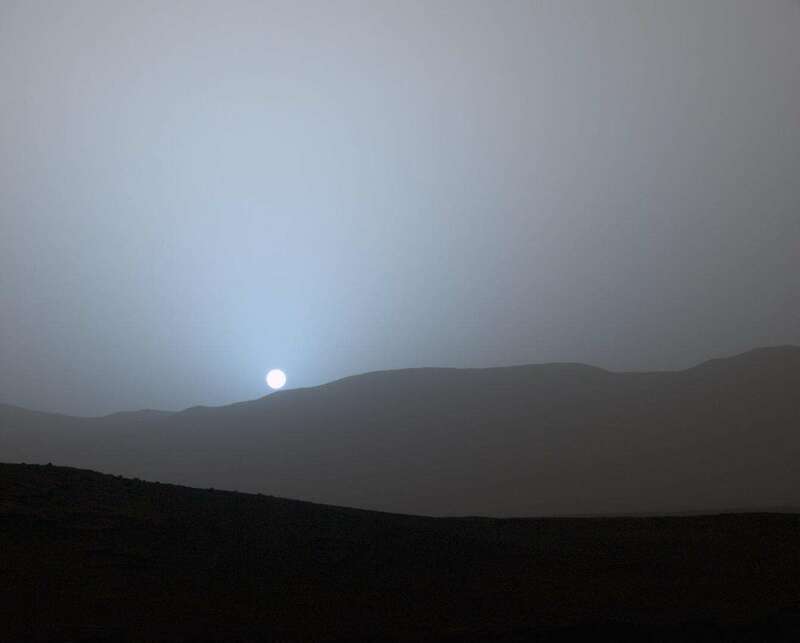 This gorgeously eerie photo shows the sun setting on the Martian horizon. As a side note, the photo uses a common photography trick - layering - to give the image more depth. 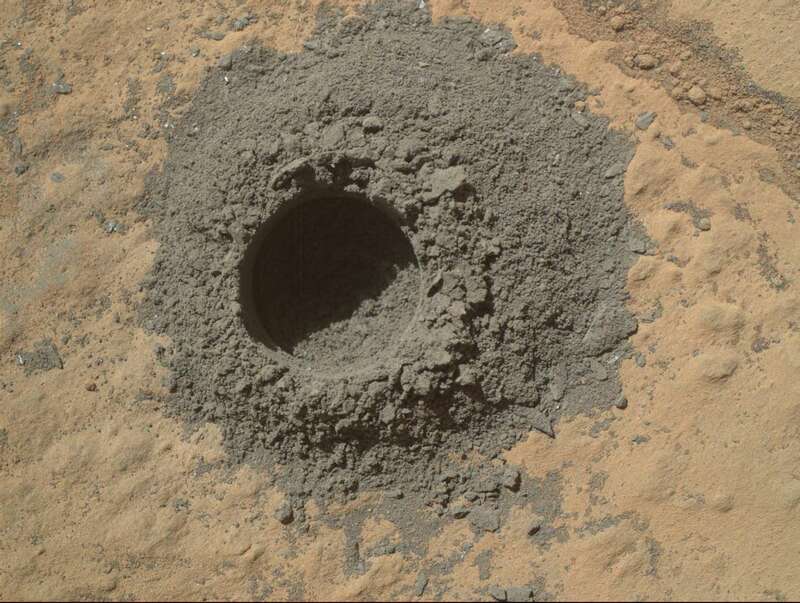 Curiosity has all sorts of exploration tools, not the least of which is a drill. The drill, whose hole is seen in the photo above, allows Curiosity to collect and evaluate geologic samples. The drill pulverizes the rock and then examines the powdery sample to see what the material is made of. 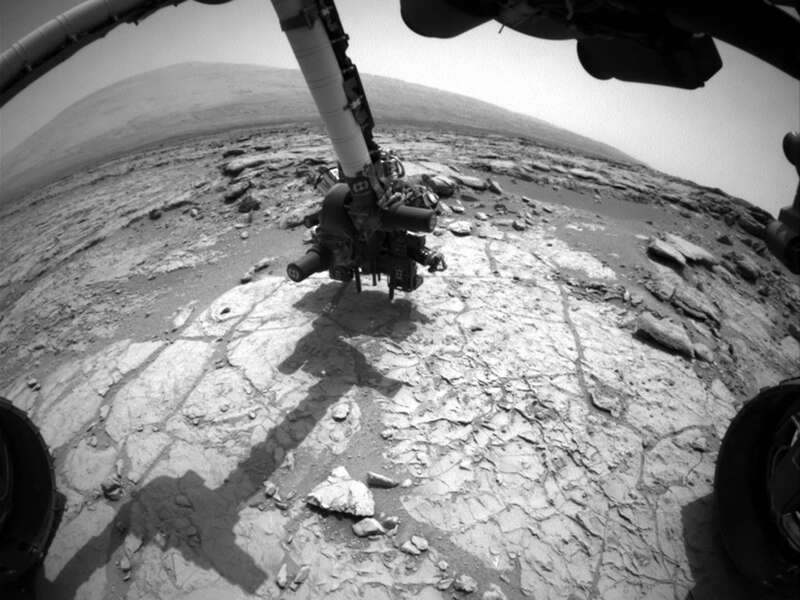 In this image, Curiosity's Mast Cam filters are on full display. 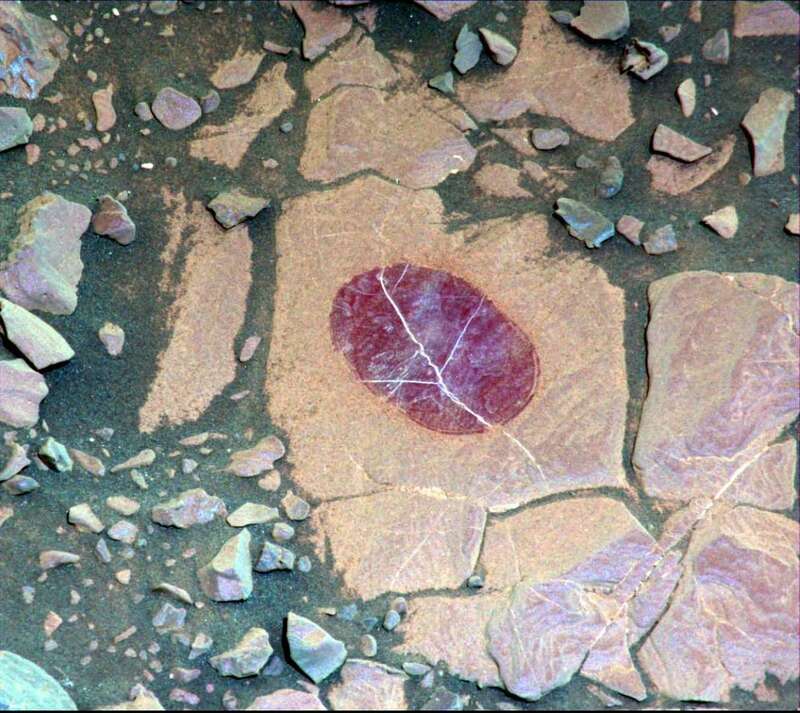 The purple area in the shot is actually hematite, which is an iron-oxide mineral. The Mast Cam's filters allow scientists to add false color to images to get a better look at features such as this. The panoramic view of the Kimberley Rock Formations reveals a harsh, rocky landscape in the vicinity of Mount Sharp. 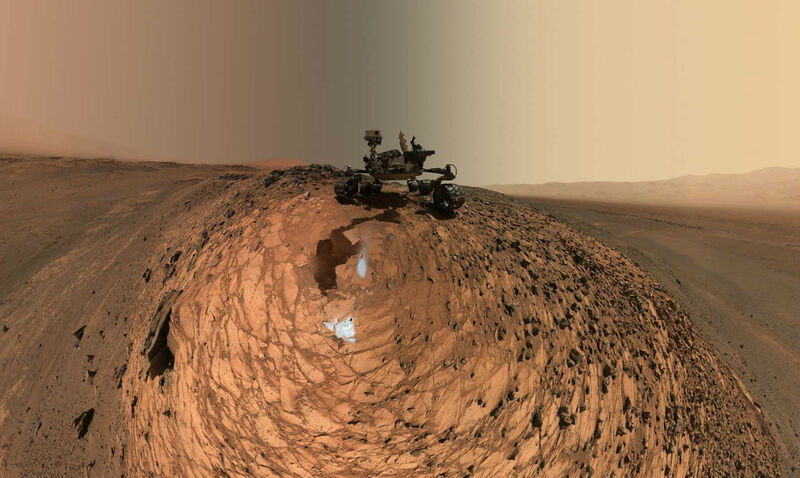 Curiosity has explored this area extensively, and scientists believe that based on Curiosity's images that this area might have had water at one point. Part of that assessment is based on the fact that the rock formations shown in this image are tilted toward Mount Sharp, suggesting that water might have been flowing toward the mountain in the past. In this selfie, Curiosity captures a view of its percussion drill as it's extended outward from the rover to work on the rock below. 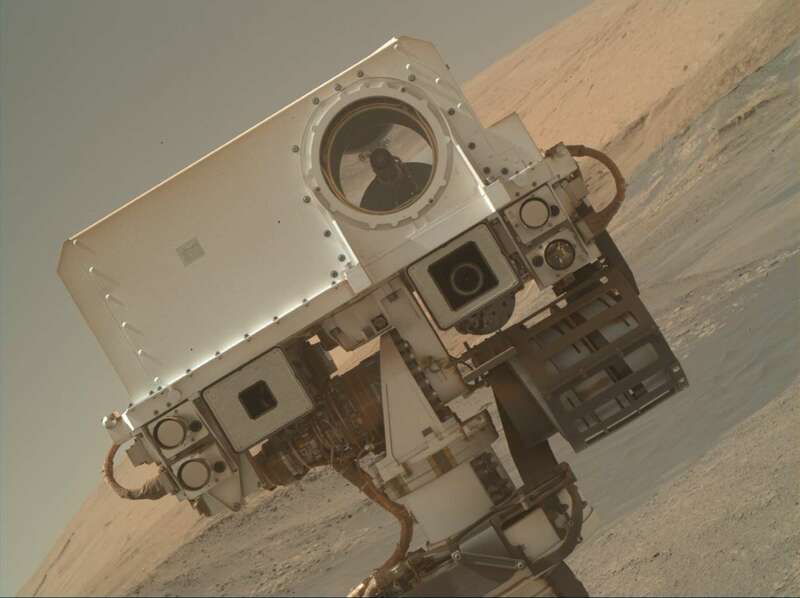 Perhaps one of the best selfies Curiosity has ever taken, this one shows its Mars Hand Lens Imaging camera. The camera is mounted on the end of Curiosity's robotic arm, where the camera can get up-close views of the Martian Surface. 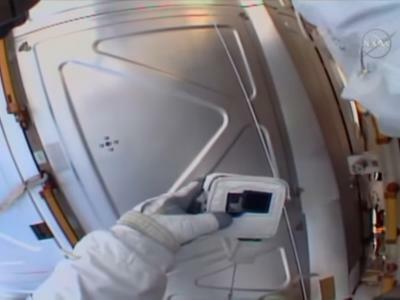 To date, Curiosity has taken thousands of photos and beamed them back to Earth for the world to see. 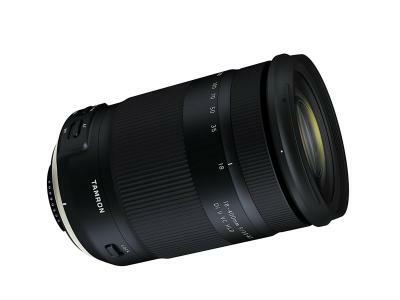 It's performed admirably over the last 5-plus years - about a year past its lifespan already. NASA's next mission to Mars, Mars 2020, will feature a rover with even more sophisticated camera equipment, which will give us all a whole new look at the Red Planet. You can learn more about the Curiosity Rover and its mission here. See what's to come in the Mars 2020 mission here.